Next to Homer & Jethro, the most successful Southern-derived comedian was undoubtedly Brother Dave Gardner. In the late '50s and into the mid-'60s, Gardner's albums found themselves ensconsed in record collections in far more urbane and Northerly locales than one would suspect, and his style was instantly influential and widely imitated. Variously described as a "Southern Lenny Bruce" or "Billy Graham with a sense of humor," Gardner's best routines still sound fresh and original today, a testament to his off-kilter genius. There was much, much more to this small-statured stand-up comic than your average hillbilly plowboy set of wheezy jokes; Gardner may just very well have been the true innovative genius of classy Southern humor. After recording a handful of semi-successful singles as a drummer/vocalist in and around his native Memphis (he had the original hit of "White Silver Sands"), Gardner found his true calling when Chet Atkins discovered him in Nashville doing comedy routines between drum solos. His on-stage character (and by most accounts, off-stage as well) was one part hipster, one part Sunday-morning preacher, peppered with off-the-wall observations about history and life, all of it barely concealing a personality that was as convention shattering as the times would barely allow. His debut album on RCA, Rejoice, Dear Hearts!, was released at the height of the comedy-album craze in 1960, and his follow-up, Kick Thy Own Self, was even more successful. 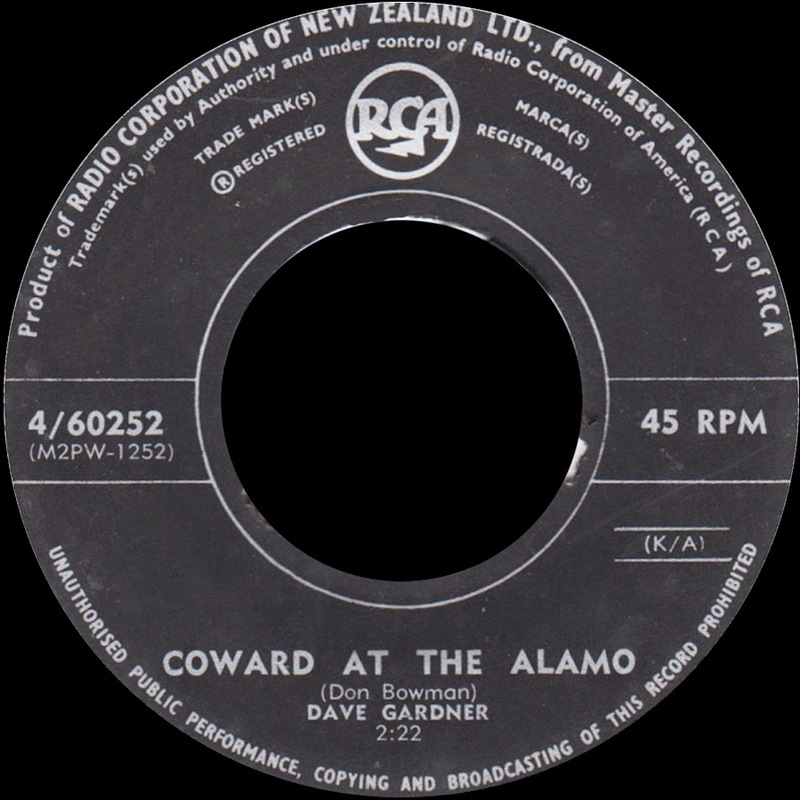 Gardner's act played well on national TV, so well, in fact, that a young Ray Stevens took whole Gardner routines, set them to music, and scored big with most of them well into the late '60s ("Ahab, the Arab," "Speedball," etc.). In the late '60s, a Memphis rock & roll band -- the Hombres -- took one line from a Gardner routine and fleshed it out into a hit song, "Let It All Hang Out." 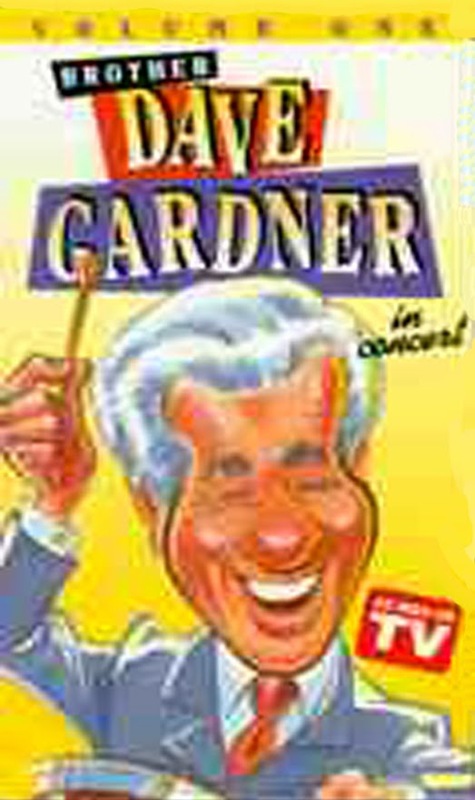 On-stage, Gardner was a law and entity unto himself. Although his original ascension to stardom was made, not unlike Bruce, with carefully constructed "bits," as time went on these gave way more and more to off-the-wall but trenchant observations. But unlike Bruce, Gardner never totally abandoned these staples of his nightclub act and his records. Instead, the nightly grind in clubs caused him to expand on them, and true fans of his fertile comic imagination can compare his telling of "The Motorcycle Story" (from one of his early albums) with the full-blown treatment it receives -- almost covering an entire side of an album -- on his second-to-last LP, Out Front. Rather than sounding like a comedian giving a perfunctory reading of a well-known (and well-worn) routine, he sounds as if he just concocted it moments ago, his enthusiasm in telling the tale literally bounding off the grooves. His sense of timing was unerring, and his ability to respond to his surroundings would often send him into a free association rant that would spawn an ad-lib passage that would stretch over several minutes. One of his greatest personal quirks on-stage was that he never timed his act in the conventional sense, and although he wore an expensive watch on-stage, he never bothered to look at it. Generally credited (oddly enough) with the invention of the 100 millimeter cigarette, Gardner had them custom-made for him in quantity starting in the early '60s. Once he had pulled three of them from his similarly custom-made cigarette case, fired them up, and disposed of them in rapid, chain-smoking succession, he knew he had filled his time on-stage. 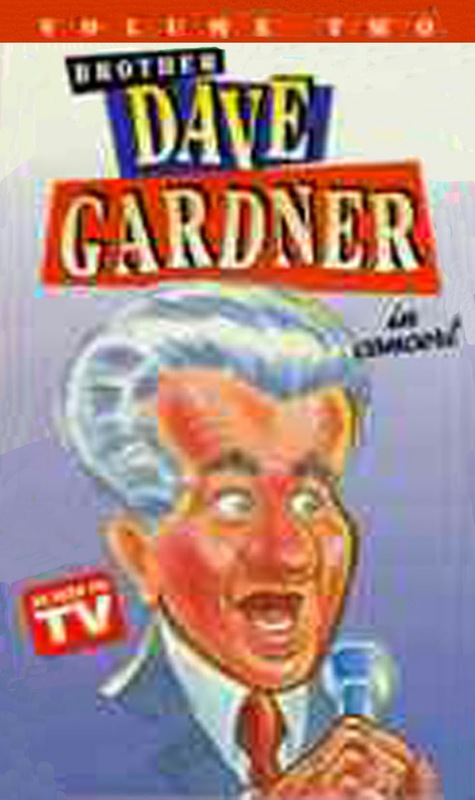 Gardner's involvement with drugs somewhat derailed his career after a bust for marijuana possession in 1962. Although he never wore it on his sleeve the way Bruce did, Gardner -- by all accounts -- had a voracious and most experimental appetite for them and was not above sneaking in veiled references in one of his routines. He was cleared, but the resulting publicity flap closed off the big television shows and forced him out of the big rooms up North and into the small-time Southern club circuit. 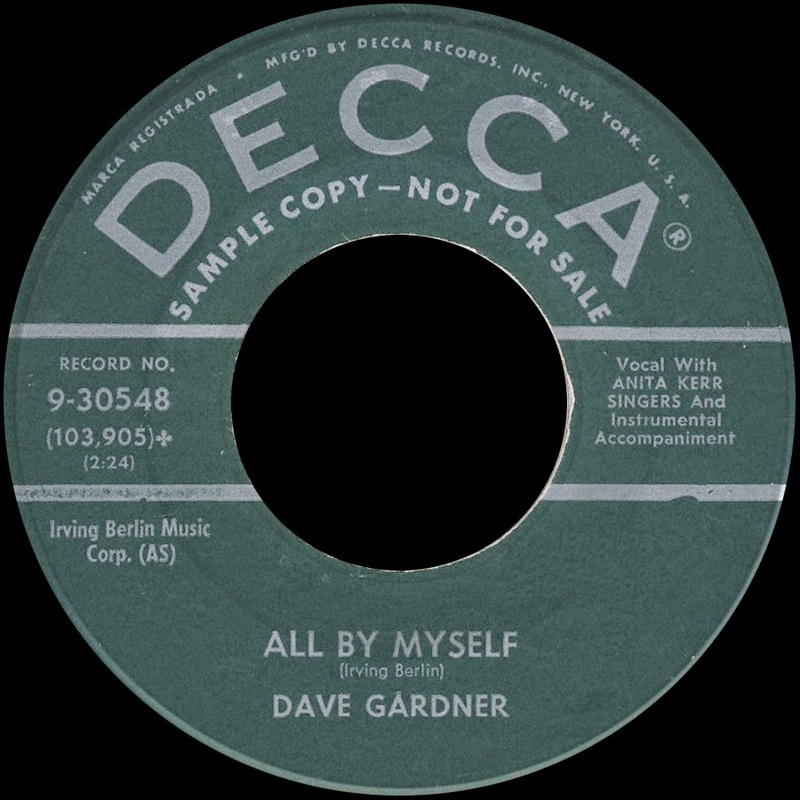 After a small prison stint for tax evasion in the the early '70s (his defense at his trial was to tell the judge, "I didn't know how much money I made, so I figured it was a fraud to fill out one of them things"), Gardner's career was pretty much dead in the water, having gone from RCA Victor to Capitol to their budget label, Tower, to no deal at all. Working small clubs, his humorous and skewered outlook nonetheless stayed intact, a true rebel spirit that refused to be brought down, even though he was now under the "management" of a racist billionaire who was trying to remold him for the "good ol' boy" Hee Haw crowd. He recorded for a spate of small labels right up to the end, including one-offs for Four Star (his last, where he asks a stunned Nashville crowd, "I wonder if Johnny Cash turned Billy Graham on?") and another for the short-lived record division of the Tonka toy company. 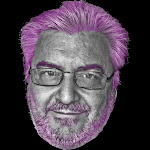 At the time of his death in 1983, he was working on a low-budget motion picture called, ironically enough, Chain Gang. 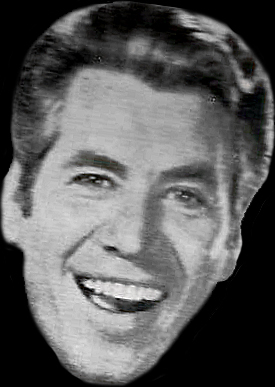 Although he is seldom remembered today -- except by old timers who smile when you mention his name -- Gardner's influence on all branches of comedy continues to be writ large. Recorded live at The Exit/In, Nashville, Tennessee. Produced by Millie Gardner. 0 comments on "Brother Dave Gardner - Brother Dave Gardner’s New Comedy Album 1976"